The Hollow Middle was not a good choice for me but I know that there are readers who will appreciate Albert's meanderings. This is not a book to be read fast but rather a slow look at Albert's life and the choices he makes. John Popielaski was born in Port Jefferson Station, New York, one year after the Summer of Love, John Popielaski attended SUNY-Stony Brook and American University. He has worked as a mover, lackey to a well-heeled tropical biologist, tent erector, lobsterman, and teacher. He has climbed modest mountains. 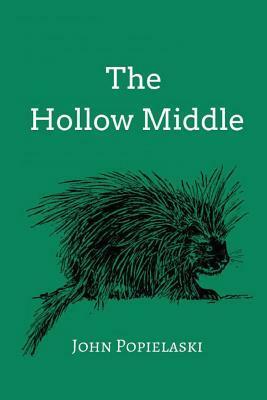 The Hollow Middle is his first novel.